For the Blind and Visually Impaired. The most advanced wearable assistive technology device for the blind and visually impaired, that reads text, recognizes faces, identifies products and more. Cutting-edge technology that is simple and intuitive, OrCam MyEye 2 can easily be used by children, adults, and the elderly alike. It can read any printed or digital text. Including: newspapers, books, menus, signs, product labels and screens. 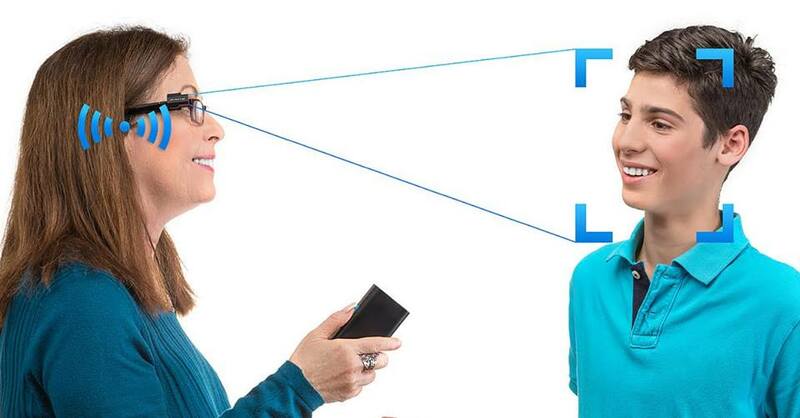 Real time identification of faces is seamlessly announced. Identification of products, enabling an independent shopping experience. Intuitively responds to simple hand gestures. Small, lightweight, and magnetically mounts onto virtually any eyeglass frame. Tiny, wireless, and does not require an internet connection.